As a result of the ranking made by the maganize Fortuna according to the company statements of 2013, ODEON Turizm İşletmeciliği A.Ş. 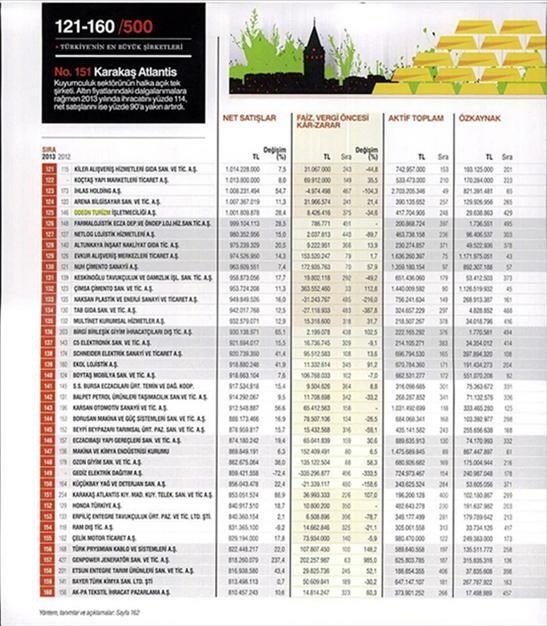 moved up to the 125th place among the 500 biggest companies in Turkey. 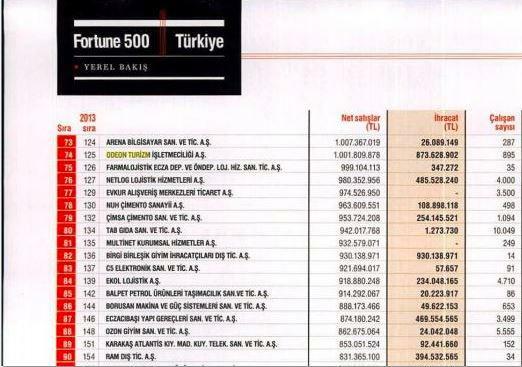 ODEON Turizm işletmeciliği which ranked as the 146th in the Fortune 500 Turkey list last year became the 125th this year with its 1.001.809.878 TL net sales. When compared with the rankings of the last years, ODEON Turizm İşletmeciliği moved from 6th place to 5th in travel and transportation services sector, from 34th place to 25th in equity turnover rate list and from 89th place to 74th in the list based on provinces.